The development of the Android OS over the years by Google has not been a very open one, what with the search engine giant engaging in sudden flip flops from time to time. 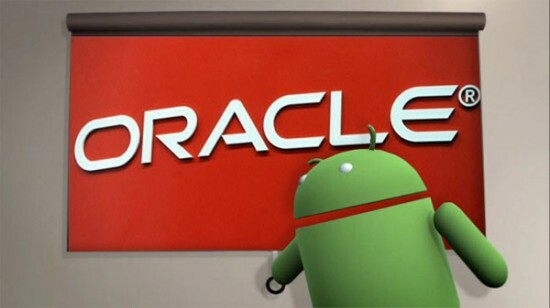 The latest in this series is the change in the Android code base that has resulted out of the US Supreme Court not appealing Google’s case against Oracle of $1 billion. Readers will know that the two companies have been engaged in a legal battle over the alleged infringement of copyright by Google. Now Google has confirmed it would be dropping any implementation of the Java libraries in favor of the OpenJDK libraries of Oracle. This is certainly news that is totally unexpected but typical of Google’s approach towards the development of its Android platform. Though Google had won the first round, an appeal court in the US reversed the decision and since then Oracle has put more meat into its lawsuit which now covers an additional 40 releases over six of its versions. It would appear this shift by Google is a response to this lawsuit. Not surprisingly, Google says this development is a routine one but analysts believe it would have far reaching ramifications for the entire Android eco system. That is because this move is seen to compromise the inherent advantages of the open system architecture of Android, which in many ways has been its unique feature over the years. Google when it was following the Java implementation and the one being taken up at the lawsuit allowed chipset vendors as well as OEMs to change the library code without needing to share changes. This was under the Apache 2 license. But in contrast now, Google would have to use the GPL 2 license for access to the OpenJDK libraries and that would mean it has to publish the source code should any changes be done by the licensee, which means it cannot be too favorable for Oracle. In a move that many experts see as stiff competition to Android, Microsoft has tied with Cyanogen. This partnership also saw the update of Cortana getting released with interesting integrated features signaling that this move is destined for success. Cyanogen had earlier turned down an offer from Google which wanted to buy it in 2014. Microsoft is aware it would find it difficult to win over Android loyalists but is banking on the promise of flaunting its Android OS packed with features of Exchange, Azure and Office so that it can possibly lure users who are looking for a composite package. The tie up with Cyanogen does have the promise of bringing in many developers who have worked extensively on the Android OS though and that is a positive for Microsoft.